This post contains affiliate links. The earrings in this post were provided to me by Brandzaffair in exchange for my sharing my shopping experience with their website. Like with anything else on this blog, ALL opinions are my own. Christmas truly is the most wonderful time of the year! I love getting into the holiday spirit, and one way I do that is by dressing the part. I love the classic red and green color combination of the season, so I try to work it into all of my outfits in December. We went out to eat and took Kane to see Santa for the second time (which was more disastrous than the first.haha) on Sunday. 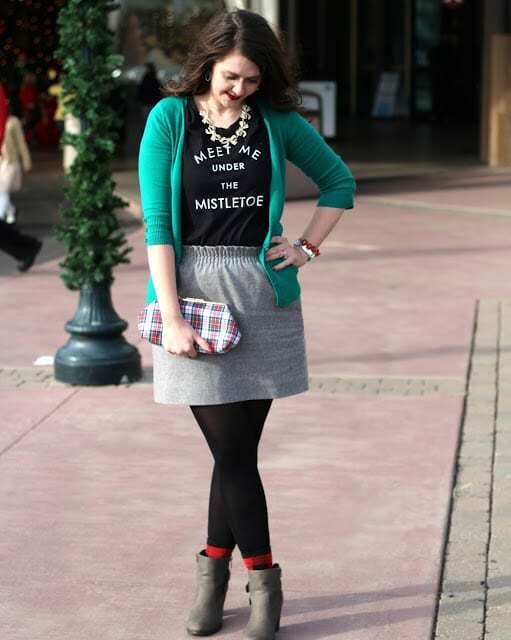 I dressed festively for the occasion by pairing my “Meet Me Under the Mistletoe” tee with my flannel skirt. Since both the tee and skirt were neutrals, I added my green cardigan, red bracelet, and red socks to bring in a little bit of Christmas, along with my plaid clutch. The socks were part of my “$10 at Target” finds. If you’re dressing for Christmas, you’ve got to have some bling! I broke out my Kendra Scott earrings I ordered from Brandzaffair. They’re good for any outfit, but I especially loved them with this one. I paired them with my bow necklace and my glittery Kate Spade watch. I am in love with these Jamberry nails in buffalo plaid that I got from my friend Becky! Have you shopped with Brandzaffair yet? I first tried it out back in late summer, and you can read all about that experience here. Brandzaffair is a fun, interactive shopping experience that helps you shop for good deals (which you know I love!). When you go to the Brandzaffair website, you can choose to shop from a variety of retailers, including Nordstrom, Old Navy, and Target. By clicking on a certain shop name, you can see a list of their latest deals, and then you can specifically shop the Brandzaffair Bargains, which are all 30%+ off. You can even search the Brandzaffair Bargains for specific items like “pants” or “Kate Spade”. It’s so easy and so much fun! You can also use the site’s interactive feature to shop with friends. I love it!!! 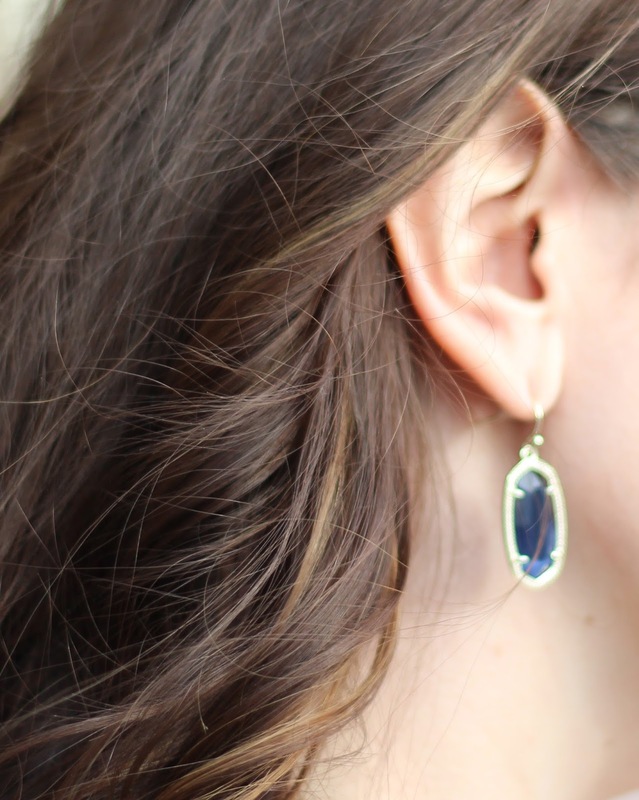 This time around, I got the Kendra Scott Dani earrings in Navy. I tried the Lee version of the earrings, but they were just too small for me as I felt like they just got lost in my hair. If you check out Brandzaffair, be sure to let me know in the comments below what you think! Need more outfit ideas for all of your holiday get-togethers this week? 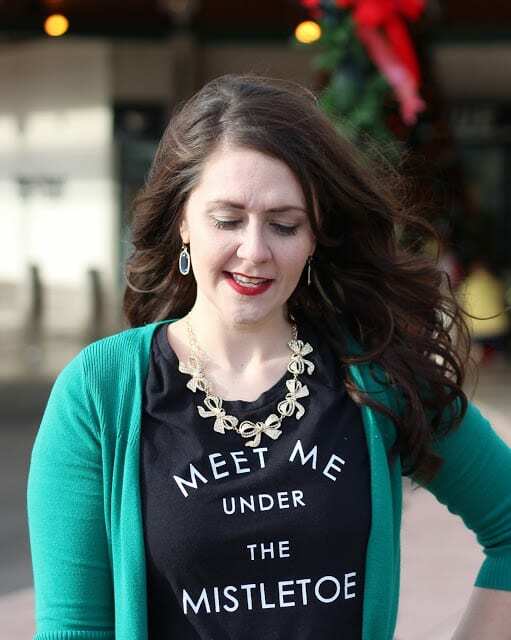 Check out my graphic tee and green pants outfit here, or my Christmas sweater and tulle skirt look here. Both outfits feature plaid:) And if you’re scrambling to get everything done, check out my Last Minute Christmas Prep post here for a quick checklist of sorts and some fun inspiration! Disclosure: Products were provided via Brandzaffair.com. The opinions expressed herein are those of the author and not indicative of the opinions or positions of Brandzaffair.